Sometimes known as payroll fraud, worker misclassification has been called a “cancer” in the construction industry and other sectors of the economy as well. “Because of weak enforcement mechanisms, there are virtually no tangible consequences for violating the law,” said Professional Janitorial Services executive Don Dyer during a Texas House committee hearing on the subject last year. So far, Texas has taken a targeted approach to the problem but many advocates say it is simply not enough. For those who are unfamiliar, worker misclassification happens when companies pay their labor force as subcontractors when, by law, those individuals should be paid as employees. Those employers do that with the specific purpose of avoiding payroll taxes and benefits that can significantly cut into their bottom line. Construction Citizen has highlighted the problem for years, including this special report. Here is every article our team has ever written about it. The United States Department of Labor has been entering into agreements with states across the country to crack down on the problem. The latest state to sign onto the initiative is Alaska. You can see the Memorandum of Understanding by clicking here. It says the state will work with the federal government to share information and conduct joint investigations regarding independent contractor misclassification. Other states that have signed onto this agreement include Alabama, California, Colorado, Connecticut, Florida, Hawaii, Idaho, Illinois, Iowa, Kentucky, Louisiana, Maryland, Massachusetts, Minnesota, Missouri, Montana, New Hampshire, New York, Rhode Island, Texas, Utah, Washington, Wisconsin and Wyoming. Ethical employers in Alaska said they were thrilled to see the government taking this proactive approach. “We applaud the Alaska Department of Labor, U.S. Department of Labor, and other state departments for working to reduce tax fraud,” said Gene Desjarlais, who owns a building contractor called BEK of Alaska. The coordinated effort between the U.S. DOL and participating states raises the stakes for companies who utilize independent contractors. In the past, a company in Alaska might pay a single fine to a state agency for not making proper unemployment insurance payments due to misclassification of its workers. Under the new agreement, Alaska will now share this information with the U.S. DOL, which may opt to cooperate in the underlying investigation, or conduct a separate investigation. 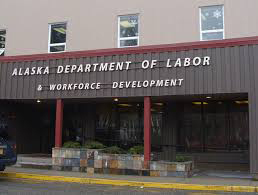 As such, companies in Alaska, like those in the 24 other states that have signed memoranda with the U.S. DOL, should expect that any misclassification inquiry will automatically expand to include both state and federal agencies, thereby increasing the scrutiny on such companies and the risks associated with a misclassification determination.